A recently released special report from Reuters suggests there could be as many as 3,000 areas in the U.S. with lead poisoning rates that are at least double those of Flint, Michigan when that city gained notoriety for its contaminated water scare. In this issue, we’ll examine the Reuters report and share tips for how to recognize lead poisoning in your child. Investigative reporters from Reuters looked over blood testing results from state health departments and the U.S. Centers for Disease Control and Prevention. Specifically, the reporters looked at lead poisoning rates for children. The search yielded 278 separate zip code areas where lead poisoning was at least twice that of Flint. Affected areas stretched across the country, and included Pennsylvania, California, Texas, Ohio and Maryland. In many ways, the community of Fruitvale, California represents what’s going on in many rural towns throughout the country. Most of the homes in Fruitvale were built before 1978 – the year lead paint was banned in residential buildings by the U.S. government. According to a recent report compiled by the Alameda County Healthy Homes Department, many of the homes in Fruitvale appear to be contaminated. Lead poisoning has been documented to severely affect the mental and physical development of children and can even prove to be fatal. Because they naturally like to put things in their mouths, young children – especially ones who live in older homes where lead paint chips are more commonly found – are at the highest risk exposure to lead poisoning. Immune systems that have weakened over time put elderly adults at risk for experiencing serious effects from lead poisoning. The effects of lead poisoning are gradual, making it difficult to recognize. Since 1993, The Fitzgerald Law Firm has represented hundreds of young children exposed to lead paint poisoning, and have brought to justice landlords and residential managers who have failed to maintain safe living conditions. 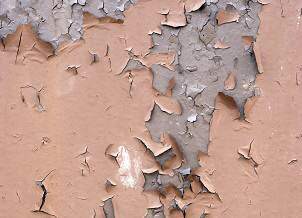 If you feel you’ve been exposed to lead paint poisoning, we want to talk with you. Contact The Fitzgerald Law Firm today. The first consultation is always free, so call us at 800-323-9900. This entry was posted in Blog and tagged lead law lawyers yonkers, lead poisoning, lead poisoning attorney yonkers, poisonous lead paint, the fitzgerald law firm. Bookmark the permalink.